Here comes the new video of Atif Aslam from his latest album Meri Kahaani or Hungami Halaat.It's a nice video and Atif is looking really good in this.Here i am giving you the link to download the video.And you can also directly watch the video here.It's upto you to choose what you want to do? GOOD NEWS FOR ALL AKASH LOVERS. Thier debut album AKS is in stores now.After a long interval they relaesed thier album.Hope that they will release the album AKS soon in India.But for now,i am giving some links of some of thier songs.You can get some other songs and watch thier videos from my old posts. 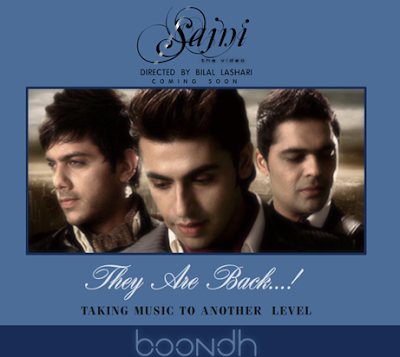 To download the songs 'RIGHT CLICK' and 'SAVE TARGET AS'. 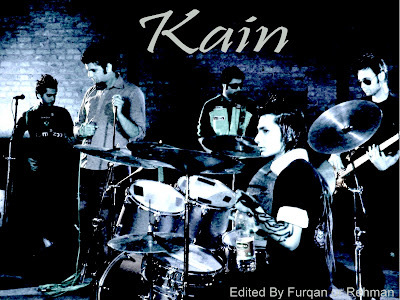 KAIN the most discussed band of the underground pakistani music scene now has gone commercial with their debut video of the song "Dar". The song is written and composed by Waqas Ahmed. The song is running successfully…You can imagine the success of song by that this song downloaded more that 1029 times in just one week after its release. For the video we would like to thank the director Murzie because this video is really a rocking one. To download the song KISMAT by DHUNN, 'RIGHT CLICK' and 'SAVE TARGET AS' on the given link below. The ***ALAG*** phenomenon began and the band formed in an instant, (Rythem Guitarist/Lead Vocalist) Farhan met Musdassir(lead rythem guitarist) in a random jam in which both were practicing their music, fortunately they felt of making up a band and producing some quality music, before that Farhan was praticing with Umair(Lead guitarist) and Musa ( Bass Guitarist and Mudassir was looking forward to some good musicians,It's the name of the band which was the dream of Muddassir Khan. 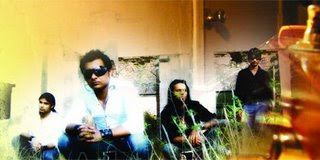 Inspired from bands like Hoobastank, Metallica and Nickleback, Muddassir and Farhan wanted to bring a change in the present musical scene of Pakistan,After completing the first track Muddassir offered a Dj named Umair a.k.a AJ, who was his net friend, to make a remix version of their debut track ALAG. He has already made many remixes for underground bands like IRTAASH, KAFFAS, MAX PROJECT and many others. Muddassir really loved the work and wanted him to become a part of the ALAG team. Muddassir admired his work. 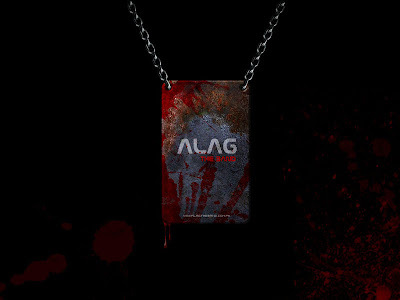 He accepted the proposal to join ALAG as the DJ and composer of the band. And now together they are *Alag The Band*. I have always liked JAL THE BAND, but never expected from them to do so. partying somewhere in asia, asking women to abuse atif. PayDay Loans are short-term, small, secured consumer loans. NO credit checks are required. The most beneficial thing on an Internet loan is that the process of getting money can be done securely from home.There is no need of any paper work. The loan process is often completed faster. After the approval,the money is going to the acoount of applicant directly.And somebody can return the amount when they are in the condition to return it back within a month.. So these Short Term Loans are a good alternative to bouncing checks, selling personal property for less than it is worth. Well few days back i got this site when i was searching for something on the net.This is not a review site like hundrades avaialble already on the net.The most imporatnt feature of this site is that the reviews available on the site are by the real customers of the products.The range of products available on the TrustSource.org is very wide.You can find reviews about anything and everything.It is ranging products from Provillus to Cash Advance to PayDay Loans. we are trying to contact them for an online interview, watch this space to read their exclusive interview and their exclusive songs. 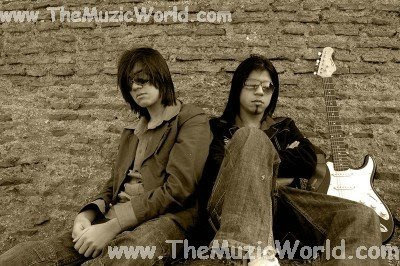 We request you to leave some comments about what more you want to know about the Band. Go for Om Shanti Om Movie, It has got 3 1/2 stars by Times of India. I have always been a great fan of Westlife from their very 1st album, I grew up watching them on T.V, singing their song in my school days. but they have never stopped, they again ready to release their next album The Love Album on 13th November and after that there will be The Love Tour, which is going to rock, I always wanted to see them in real and not on T.V, so I did so Google search for arranging the Tour’s Ticket and found a website which is providing the tickets for Concerts in Belfast Arena, Liverpool Arena, London O2 Arena, Newcastle Arena, Cardiff CIA, Birmingham NEC, Manchester M.E.N Arena, Glasgow SECC Arena, Nottingham Arena and Sheffield Arena. Keep visiting, because you know where to get the download links. Recently in Lycra Mtv style awards, Atif was awarded as the most stylish person in music. Known for his hit songs "Woh Lamhe" & "Aadat".Atif always had a passion for singing. Performing live is the real test of any singer and Atif is one of the best when it comes to singing live. Infact, the song "Woh Lamhe" made him nominated as best singer for 2005 in almost all the film awards of bollywood including Film Fare Awrads , Zee Cine Awards, IIFA Awards etc.